You might not be able to see your baby while you’re pregnant, but you might be delighted to know that your baby can feel your movements and hear your voice from as early as 20 weeks. New born babies are known to differentiate the voice of their mothers from other voices. Although there is no conclusive evidence that this is true, some experts believe that as music has a positive effect on older children, music might also benefit the development of foetuses. So, this can be a good time to start interacting and creating a bond with your unborn baby. You may, occasionally, have a natural tendency to rub your pregnant belly. This is a great way to let your baby feel your touch. Once you begin to notice your baby’s movements in the latter half of your pregnancy, you will notice the baby responding to your touch. Talking to the unborn baby might feel silly and uncomfortable at first but it’s a perfectly normal gesture. Talk to the baby frequently while doing chores around the house, early in the morning or before bedtime. Dads-to-be can also use this method of pre-natal bonding to develop a special bond with the baby. 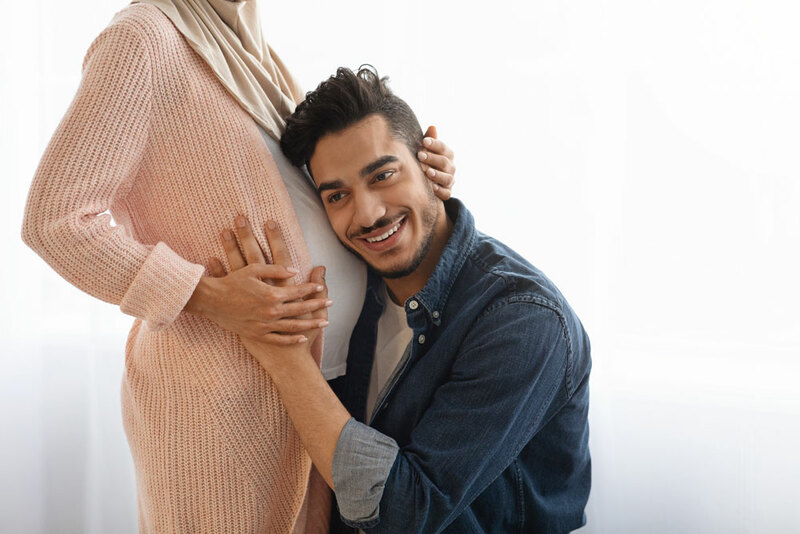 Once the baby is born, he/she will feel a strong connection with the parents as a result of all the talking you both did. You can sing or read stories and poems to your unborn tiny tot. Babies grow fond of their mother’s voice right from the time they are in the womb. It’s not necessary to place the headphones on your tummy. Music played at a moderate volume can be heard by the foetus as the amniotic fluid is a good conductor of sound. At times you may notice foetal movements in response to the music you play. Babies are known to recognise and feel comfortable while hearing voices, sounds and music that they heard while in the womb, even after birth. Playing very loud music (over 50 dB) can overstimulate the baby and cause premature birth. The baby might also suffer from certain hearing disorders when exposed to loud music. Play music that can help you and the baby relax. Lullabies, soft instrumentals and other soothing music can be a good option. Don’t play music for too long as this research is still not proven yet and you obviously don’t want to cause any harm to your baby.